Our CBSE 10th board exams are finally over and many of my classmates have gone to India while many of us have continued to remain here in Kuwait. We just got a few holidays and in no time, the realization hit that I am now going to be in Grade 11. The next 2 years are going to be crucial where I must do my best in order to get into the best college back in India or Abroad. I have chosen the Science Stream with Physics, Chemistry, Math’s and Biology as my subjects as I aspire to do MBBS. My plan is to head back to India to continue my studies after my 12th. To get admissions in MBBS I must answer the NEET exams as this is basic requirements if you want to get admissions in India or even Abroad. 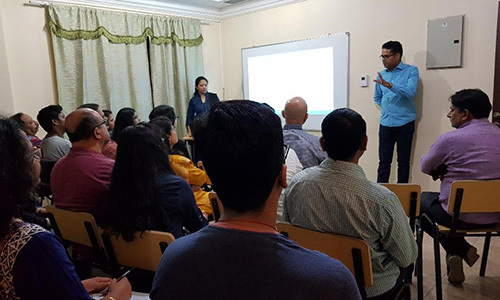 Being in Kuwait does not give one the range of possibilities that are available in India and it is very daunting to find a good institute in Kuwait where they coach students for NEET and JEE exams. While there are many online coaching centers its nothing like the attending classes in the traditional way. I have been a student at Bhavans for many years now and have been attending IIT foundation at SEAK right from Grade 7. SEAK is a Bhavans venture and I have thoroughly enjoyed my time from Grade7 to Grade 10. Not that it was a bed of roses, but my concepts have become strong and I have also developed logical and structured thinking methods. While most of my friends had gone for tutoring in Grade 10, I can proudly say that with these classes I was able to study myself and answer Grade 10 without any difficulty. This academic year, I have enrolled my self for the NEET classes at Scientific Excellence Academy at Salmiya-Kuwait. The classes are held every Thursday 2-6pm and every Saturdays 8 to 3.15pm. 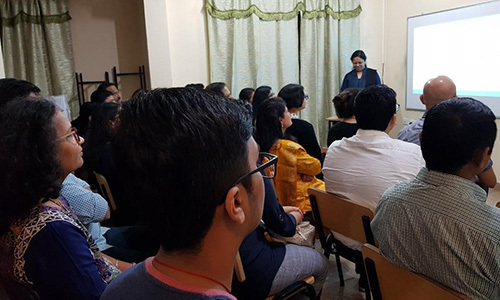 An orientation was organized for the students & their parents on 12th April at the SEAK Academy. Mrs. Tessy the co-Ordinator informatively conducted the orientation. SEAK offers a two-year comprehensive NEET and JEE Main and Advance coaching programme for students completing X std. Classroom training complemented by Basic Study Material that focuses on both concepts and techniques of problem solving. Integrated and comprehensive coverage of XI and XII portions. There is no doubt that the material is mentally challenging but there is also not an iota of doubt that if not done, the chances of getting into any reputed college in India or abroad is grim.